A preventive claim was filed in the District Court of Vilnius City to prevent reconstruction works on the territory of the Concert and Sports Palace that would desecrate the Old Šnipiškės (Piramont) Jewish Cemetery and the human remains surrounding the sports palace in all directions, and mixed into its foundational building material by the Soviets. Active members of the Jewish community, non-Jewish Lithuanian human rights activists, and people of Lithuanian Jewish (Litvak) heritage internationally have been trying for years to draw the attention of authorities to a project that would cause untold harm to Lithuania’s reputation and make way for a congress center that many people of conscience would on principle refuse to enter in the years to come, says European Foundation of Human Rights in a press release. In 2015, the then chief rabbi of Lithuania warned that nobody has the right to the graves of the old Jewish cemetery in Vilnius or to use it for a convention center. In 2016, Ruta Bloshtein, a Vilnius-born resident of the capital, initiated a petition “Please Move New Vilnius Convention Centre Project AWAY from the Old Jewish Cemetery”. To date, this petition has been signed by more than forty-five thousand people. Our president has received letters from twelve U.S. congressmen (2017) and three U.S. senators (2018), in which the government of Lithuania is urged to reject plans for reconstructing the building for the new Conference Centre and leave the Old Šnipiškės (Piramont) Jewish Cemetery in peace so that it may be lovingly restored. So far, all actions have been ignored by the authorities and remain without meaningful response. This year, Turto bankas (Lithuania’s state-owned Property Bank) is planning to announce a tender process for the Vilnius Congress Center’s rental in the future. A public discussion was held concerning drawing up rent documents, where petitioners took part as well. During this meeting, it became obvious that nobody was taking seriously the vast catalogue of local and international opposition, or the damage to Lithuania’s name that would ensue. A legal case was brought before the court by a person of Litvak origin residing in Israel. His forefathers are buried in this very place. In this lawsuit, the court is asked to evaluate the fact that such a legal dispute would not, frankly, be taking place if this cemetery was not a cemetery of Jews, a national, ethnic and religious minority for the past seven hundred years, but a cemetery of Lithuanian Catholics. 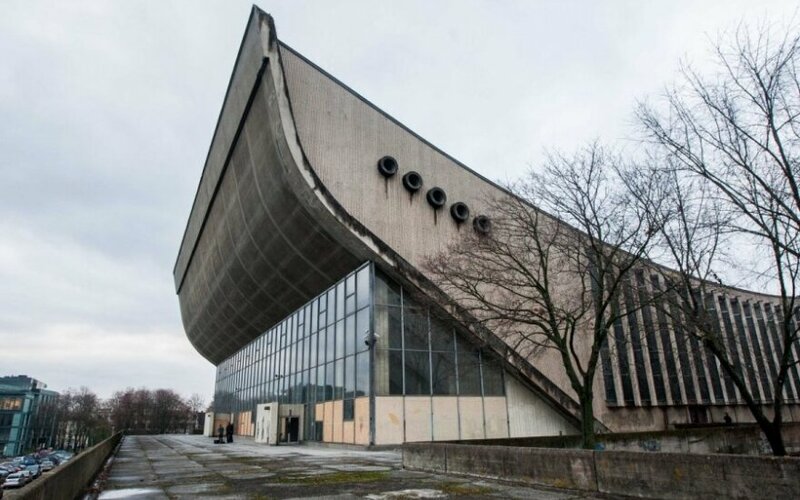 In gross violation of the principle of equal rights, the old Sports Palace is being reconfigured to become a new national center for congresses and conferences where people will dance, cheer and drink in bars on the graves of many thousands of Vilnius residents whose families duly paid for their burial plots in perpetuity. It is not right. In the opinion of the European Foundation of Human Rights, which is coordinating this lawsuit, the matter at hand is a major instance of a much wider, and deeper, human rights issue. The old age of minority cemeteries (most emphatically of minorities that have largely disappeared locally as a result of Genocide), and their illegal past Soviet abuse, including pilfering of the gravestones, is no moral license for that wantonness to be continued today in the realm of the European Union and its human rights values, least of all where thousands of a city’s citizens still lie buried.